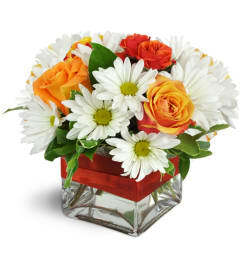 Gathered straight from the garden, sometimes it's beautiful to get to the point. 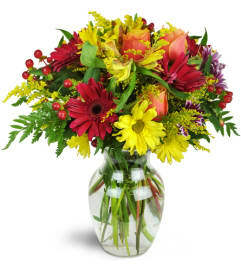 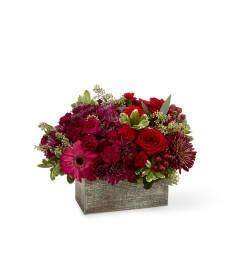 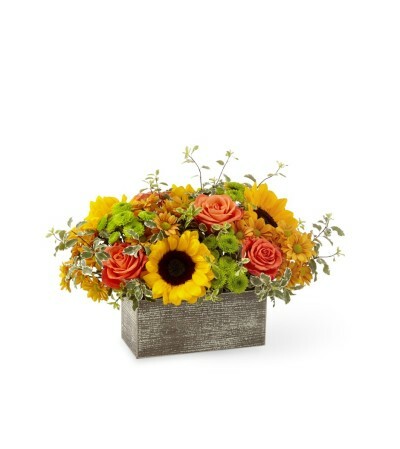 A generous assortment of vibrant orange roses and sunflowers does just that in a weathered, wooden rectangular box. 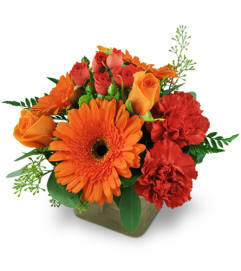 Tell them how you feel with love that's freshly picked.- Sunflowers may be substituted for yellow gerbera daisies in some cases.